The 9th Halal Expo Dubai concluded at Roda Al Bustan Hotel on a successful note with majority of the 100 exhibiting companies reporting having brisk business with local and international trade visitors – part of the 4,000 people who came to the two-day business-to-business event. “The Halal Expo Dubai provides a great opportunity to showcase and promote Halal products across the world and I’m glad that this is happening in Dubai – which our government wants to promote as a global centre for the Halal Economy,” Amina Ahmed Mohammed, CEO of Emirates International Accreditation Centre (EIAC). 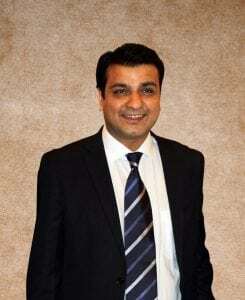 “We are increasingly receiving applications from Halal accreditation bodies across the world and have already received applications from 65 of the 120 bodies and more than 1,000 halal products manufacturing plants. We have already certified 35 of the Halal accreditation bodies and will complete the rest within the next few years – which will allow Halal products to enter the UAE markets without any further hassles. 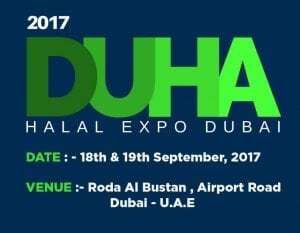 Halal Expo Dubai is the largest and most comprehensive Business-to-Business (B2B) halal exposition in the Middle East for the $2.3 trillion global halal industry. The two-day exhibition has been attended by 4,000 people – mostly buyers and sellers of Halal products and services – from 40 countries. More than 100 companies from 15 countries, including Kazakhstan, Malaysia, Spain, Pakistan, Switzerland, India, the UK, Brunei, Thailand, China and the UAE participated at the show. The recognition by the Malaysian authorities will facilitate the trade of UAE halal products and ensure acceptance in Malaysian markets, as well as markets that accept Malaysian halal systems certification, of which there are 60 markets globally. “This UAE-led initiative, a first of its kind in the Arab and Middle East, will open up export horizons to producers in the country, as well as export and re-export support to dozens of new markets, which is positively reflected on the support and encouragement of international industries, especially in the markets of East and South East Asia and the Australian continent, and also contributes to food security in the country,” Abdullah Abdul Qader Al Maeeni, director-general of ESMA, said. “The new government in Somalia, which took over earlier this year, is undertaking necessary steps to expand our export markets in the Middle East and Central Asia and Dubai provides us with the ideal gateway to these markets,” Dr Abdirahman added. “The global Halal economy is estimated to touch the $6.4 trillion (Dh23.48 trillion) mark by 2018, up from $3.2 trillion in 2012, according to a latest report, while the Halal Expo Dubai will go a long way in reinforcing Dubai’s position as the capital of the global Islamic economy. “Dubai Food Park, a government initiative, has recently inked a Dh1.35 billion deal to establish a UAE-China food industrial cluster that will eventually support China’s $1 trillion ‘One Belt One Road’ initiative and help promote the speedy expansion of the Halal products and services across Asia, Europe and Africa,” he added.